It was mentioned once, in a preseason meeting in March. Then it was all about action not words for Garden City (18-3), which hit a few speed bumps and had to navigate a pair of treacherous curves in the playoffs. 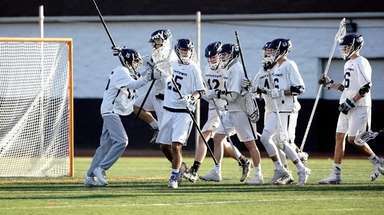 But the Trojans won their first state Class B title since 2013 and seventh in program history when James Basile’s rising laser from the right wing with 1.6 seconds left resulted in a 7-6 win over Victor. The defense remained the team’s strength, with juniors Colin Hart and Danny Boccafola leading a unit that along with senior goalie Teddy Dolan yielded a Long Island-best 3.9 goals per game. It was the offense that needed to catch up. It did, averaging 14 goals a game in a five-game winning streak before a tense 3-2 overtime victory over South Side in the Nassau semifinals. 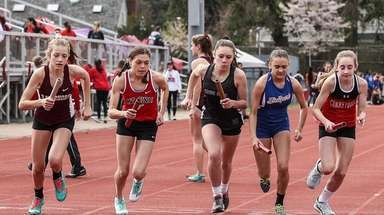 The Trojans responded by blitzing Manhasset, 15-5, in the Nassau final, erasing the Woodstick loss. 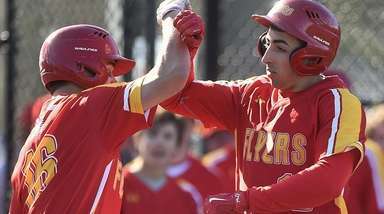 The offense continued to support the defense in a 12-3 Long Island championship win over Harborfields and a 14-4 win over John Jay-Cross River in the state semifinals. Just as Finnell had predicted in March, Victor was waiting. The Trojans looked to be in control at 6-4 with a minute left, but Victor scored twice to tie it with 8.5 seconds left. 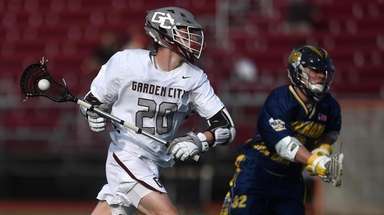 That’s when Garden City turned to ace faceoff artist Justin Coppola (12 for 14 in the title game). Coppola won the draw, advanced the ball to Liam Muldoon, who whipped a pass to Basile for the winner. 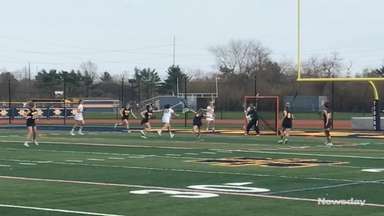 Muldoon led the Trojans with 39 goals and 63 points. Fellow seniors Kyle Steinbach (26 goals) and Cole Dutton (16 goals, 10 assists) received help from junior Trevor Yeboah-Kodie, the all-Long Island running back, who added 21 goals and 17 assists. And now Garden City is the victor.